Intent Agency Vilnius is now official AdsHOTEL partner, which mean we finally and as the first in the Nordics and Baltics can help our clients advertise on Google Hotel Ads, something that has been sort of exclusive for the large OTAs like Booking.com and Hotels.com ect. 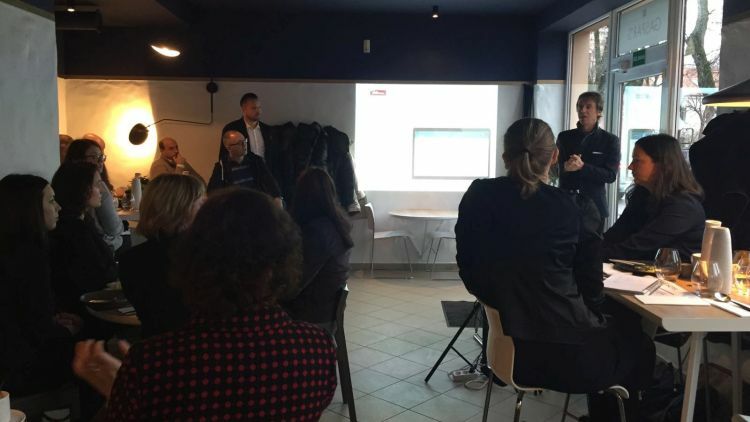 On January 28th Intent Agency had the pleasure of doing a small AdsHOTEL/Google Hotel Ads morning event for 20 local Vilnius hotels. 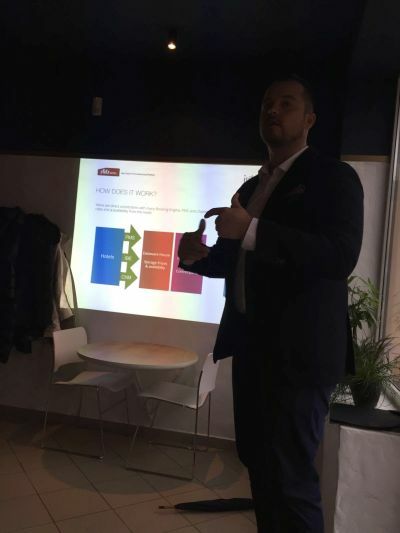 My business partner and collegue Domas Vysniaukas kicked of the event, I followed with some slides on the big changes, over the years, in the Google SERPS and the huge challenges that hotels are facing. But the main event was of course our guest Filippo Fasolo, co-funder and partner at AdsHOTEL, showing us the great platform AdsHOTEL. Flight and entry tickets are booked and paid – I will be going to the best Search conference this year! Wait a minute… PubCon is growing as always – it used to be just Search, but now its Search, Social, Affiliate & Web Analytics. Going with some of my colleagues from Addconsulta Peru – gonna be a blast! now they have a combines share of over 30%! So dont forget Bing at Yahoo! in your next US PPC campaign! And Google is now down at 63,7% – still huge! Bing and Yahoo! has overt he last 8 months been climbing steadily in their shares of the of searches in the US and now they have a combines share of over 30%! Bing (Microsoft sites) is now at 12,1% and Yahoo! sites is at 18,3% making the combined â€œMicroHooâ€ at 30,4%! I have already been writing several times about Bing and Yahoo gaining extra shares of the of searches in the US and this month they are again on the move while Google goes down a bit! Bing (Microsoft sites) is now up at 11,8% and Yahoo! sites gained 0,8% to now 17,7% making the combined “MicroHoo” closer to the 30% – at 29,5%! And Google lost a bit for the second month in a row - now down 0,7% to a still massive 64,4% – but is still makes it more and more important to remember both Bing and Yahoo! in the Search Marketing activities! The article at the official Google AdWords blog has a video describing some of the nice features of this new AdWords for mobile interface – check it out..
Bing went from 11,5% to 11,7% and Yahoo! from 16,8% to 16,9% giving MicroHoo a combined share of 28,6%. It’s not going as fast as it has been, but comScore reports that February was in fact a month with a small growth in Bings share of searches in the USA. Bing (Microsoft sites) went from 11,3% to 11,5%, but unfortunately Yahoo! went 0,2% down, so MicroHoo had a unchanged share of the searches.. still there’s a combined share of 28,3%! And yes, Google went 0,1% up to 65,5%. comScore reports that January 2010 was another good month for Microsoft Bing with a small increase their part of the US Search traffic. Bing added another 0,6% and are now at 11,3%, whereas Yahoo! goes down 0,3% to 17,0% – interesting is though that the combination Yahoo!+Bing adds 0,3%. And another interesting thing is Google US Search share going DOWN o,3% to still a massive 65,4% – still very impressive! Dear CoffeeCup, nice Sitemaps or cool styled sitemaps might be a good idea because of several reasons, but I have NOT seen any proffs of a sitemap helping on search rankings.